Barcelona, 23 March 2017 - Situated in one of Madrid’s prime locations, MANGO opens its new flagshipstore at number 60 Serrano street. Recovering the original design of the building, the store has a selling space of 2000 m² distributed over four floors and will stock the Woman, Man and Kids lines. 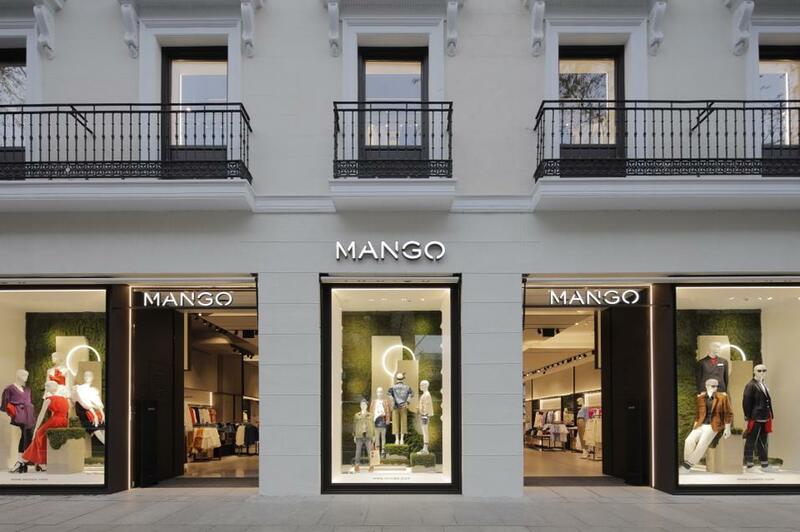 The 60 Serrano store is a sophisticated and contemporary premises, designed to reflect the brand’s personality.It features the architectural and interior design concept which MANGO has recently incorporated in its stores, which aims to unify all the lines in a large, single dynamic space, significantly improving the customer experience. The new store combines a blend of materials and textures that give it an eclectic look.The combination of sculpted floors and different decorative styles create a pleasing ambience which invites customers to explore the store in a relaxed manner.The interior decoration is based on the use of refined display furniture with touches of velvet and leather, in addition to elements of marble, concrete, wood and natural stone.The store also has an internal garden which can be accessed from the store, and features a permanent installation of mannequins displayed inside glass urns.